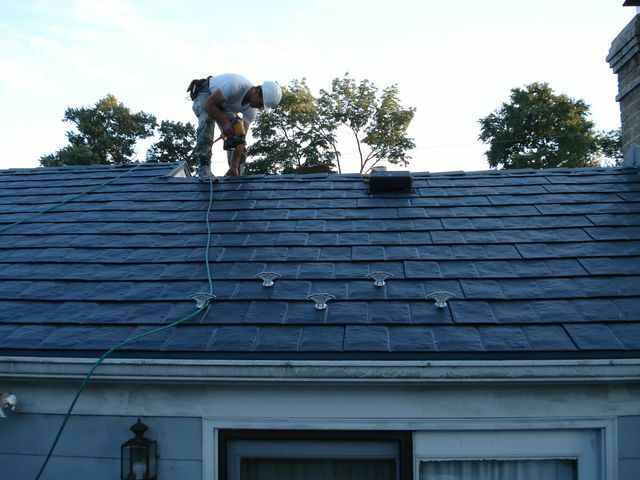 Are you planning on re-roofing your home this Spring, or sometime soon? 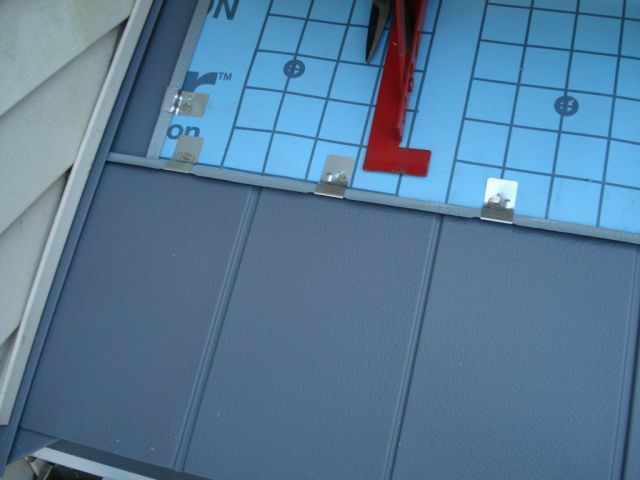 Have you ever considered installing a new metal shingles roofing system on your home or garage by yourself? If so, read on to learn more. In order to complete metal roofing installation successfully you need to know how to use basic home improvement tools and a ladder safely, and that you have a certain level of experience with general home improvements. 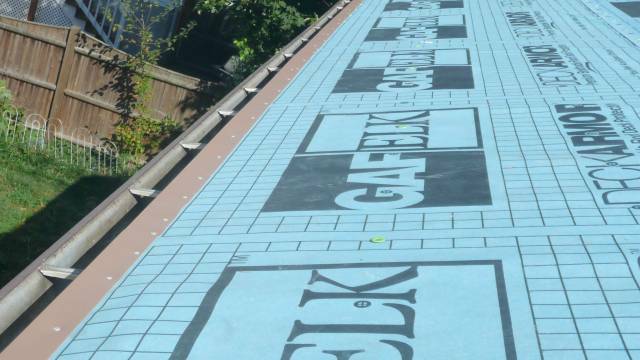 roof underlayment underneath your metal shingles roof, will allow any moisture that may form due condensation, to evaporate rather than it becoming “trapped” underneath the underlayment, and thereby causing your roof deck’s boards to rot. 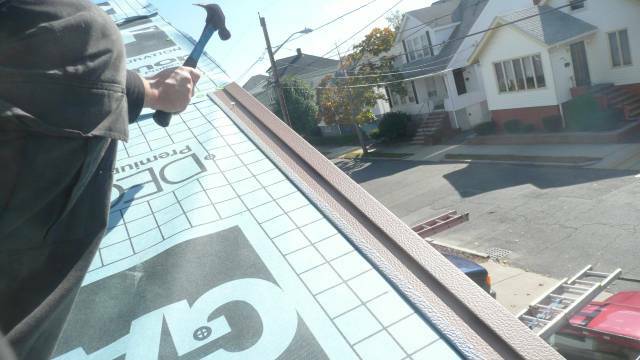 Certainly, we do not want that to happen, that’s why we will install a breathable type of roofing underlayment over your roof’s deck, or over the existing roof provided that there is only one layer of shingles. Now, it is time to install our first metal roofing shingle. 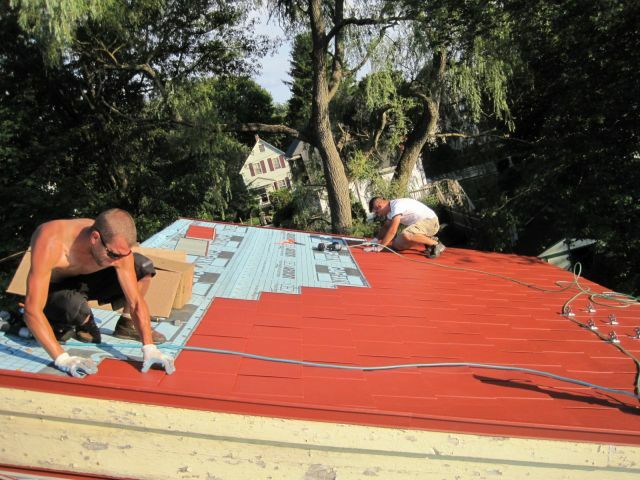 When installing metal shingles, it is usually recommended to start with half of a shingle, or 3 quarters of a shingle length depending on the system design and manufacturer’s specifications. 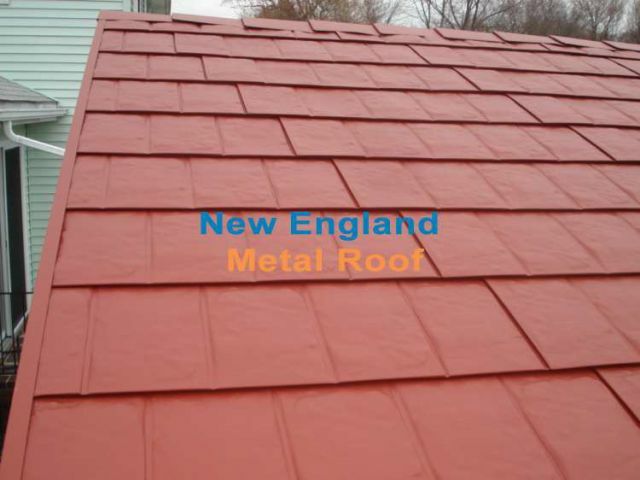 Some metal shingles roofing systems such as the one by Tamko Metal Works, have small indents on the back of each shingle that indicate where and when to make a cut, and for which particular row of shingles, so that your metal shingles are laid out and installed in a correct pattern. We will use a special tool called “square” and a level in order to cast the lines, and then we will use colored strings as our visual guidelines of the straight lines that we can adhere-to when installing successive rows of metal roofing shingles. Steel shingles should be installed using a so-called row-and-column diagonal installation methodology, which makes it easy to add and secure metal shingles working your way up from preceding / lower rows of shingles upwards along a diagonal. 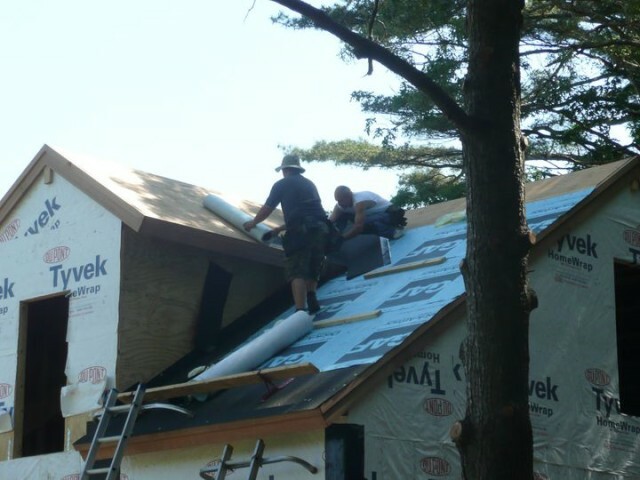 Ridge Caps are installed by nailing it down on each side, and inserting next piece into the preceding ridge cap. Here is a picture of the chimney flashing to give you an idea how it is done. This step is quite complicated and I recommend hiring a pro to show you how it should be done. 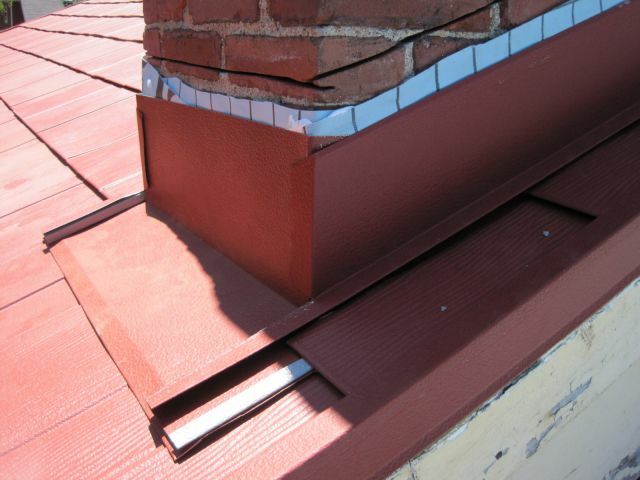 You will also need to use caulk and “water stop” when installing chimney metal flashing. 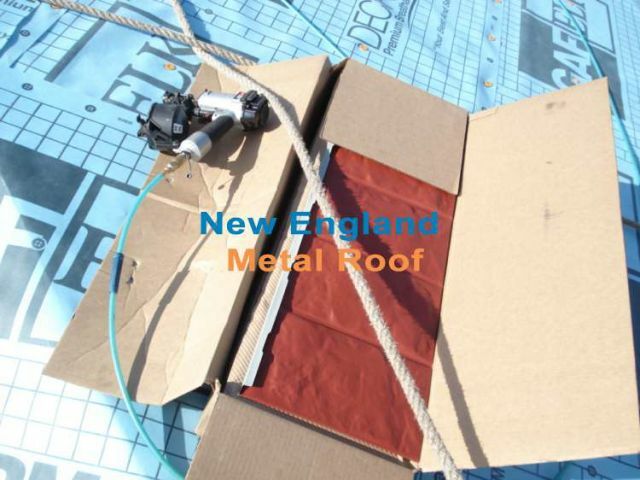 We have covered the basic steps to install metal roofing yourself, and at this point you should at least have a basic idea of what is going on. Now, may wonder how to get metal roofing materials, and what kind. You will want to buy Energy star rated materials that qualify for green building tax credits. I recommend using steel shingles roof system that can be obtained at a professional roofing supply warehouse for contractors. Safety is the key. Make sure your ladders are properly secured at the top and at the bottom. Wear a safety harness, and make sure that you know how to properly use your fall arrest equipment. Never work alone. 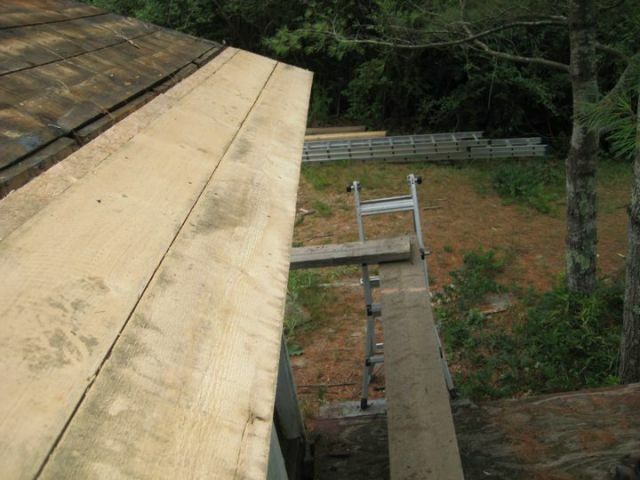 Install your safety anchors into the studs of the roof, and not just into the plywood. Use quality screws, rather than some cheap nails that will pull out should you take a fall.